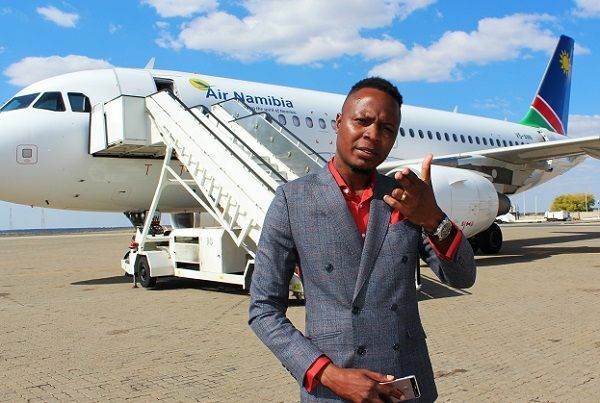 Famous singer Martin Morocky, known as The Dogg has been appointed as the brand ambassador for Air Namibia and is responsible for promoting the national airline in various media as well as through social media platforms. The Dogg said this brings him great honour because he joins the Air Namibia team in working to attain the vision of the airline, to be safe, reliable and financially sustainable and contribute to the prosperity of the Namibian nation. “As local ambassador, I would like to encourage, promote and increase the use of air travel among Namibians, industry peers and followers of my work, while increasing the visibility of the airline brand,” he explained. Paul Nakawa, the beleaguered airline’s Manager of Corporate Communications welcomed The Dogg to the Air Namibia family saying he is a truly home-grown talent that will share Air Namibia’s story with the world. “This partnership is a reflection of Namibians working together to a common goal and it demonstrates national pride and adding value to the national flag,” he added. The Dogg is no stranger to being an ambassador for well-known organisations in Namibia because he has previously been the ambassador for Nampol/Interpol, where his efforts were geared to reduce crime. He was also appointed as the ‘Smart Cut’ campaign ambassador under the stewardship of the Ministry of Health and Social Services, advocating the touchy and sensitive subject of male circumcision. He managed to convince more than 25,000 stubborn Namibian men to undergo circumcision for improved hygiene to curb male vectors as HIV propagators.